If Mad Togepi has less than 80 HP, you may search your library for an energy card and attach it to Mad Togepi. 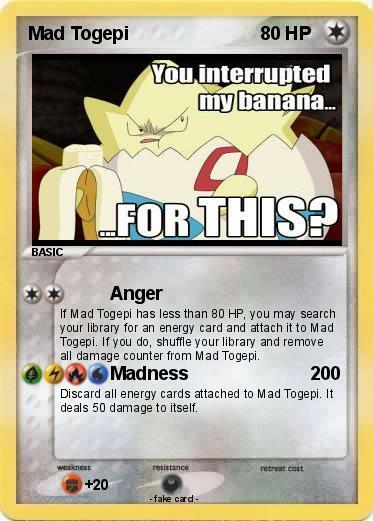 If you do, shuffle your library and remove all damage counter from Mad Togepi. Discard all energy cards attached to Mad Togepi. It deals 50 damage to itself.